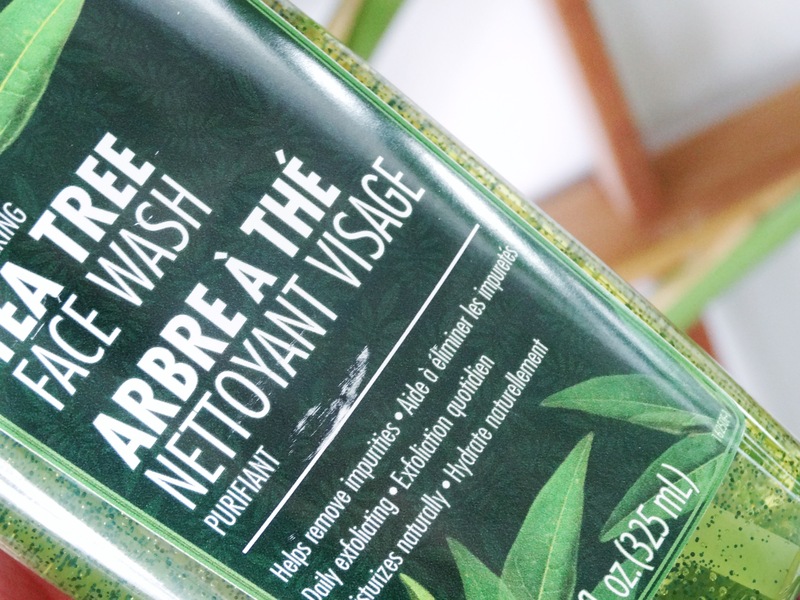 For many years I have been in love with using tea tree oil. I have used it mixed with warm water to help heal any cuts, sores and to steam my face. Tea tree was discovered by the Australian aboriginals. They used it to heal sickness and is still used for many forms of sickness in modern-day. A refreshing facial cleanser enriched with Tea Tree Oil which helps remove dirt and impurities. Contains jojoba seed micro exfoliants which help unclog pores. Ideal for blemished skin. Promotes clearer, healthy-looking skin. Mild enough to be used daily. Directions: Massage cleanser over wet face, avoiding the eye area. Rinse thoroughly. Pat dry with a towel. I’ve been using this face wash in the morning and evening most days. I find that the blue beads give very gentle yet effective exfoliation. Defiantly not too harsh on the skin. The product doesn’t foam up too much and even though it says to avoid eye contact, clumsy old me will still get product all over my eyes! Thankfully it does not sting or irritate my eyes. 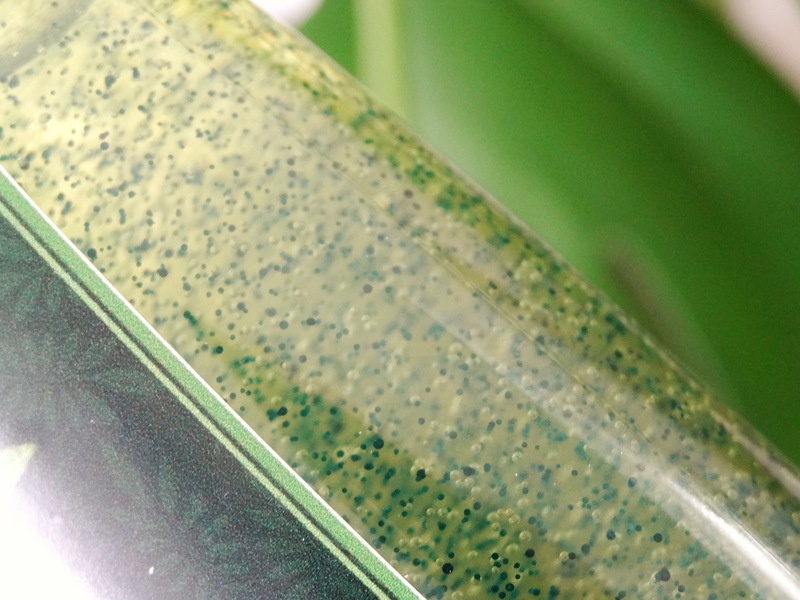 I’m delighted that jojoba beads are used instead of microbeads. Jojoba are biodegradable and are friendly to the environment while cleansing the pores effectively. Recent studies show that microbeads are very harmful to the environment and are hopefully being banned from all cosmetics soon. After using the product, my face feels clean. I do get a very very slight tightness feeling in my combination type skin afterwards. I use half to a full pump for one cleansing procedure and a thorough rinse is necessary. Sometimes I find extra beads hanging out in my hairline. Even though I (and Mr. Marzipan sometimes) have been using this product for a good few weeks now, it does not seem like I have used much at all! Having the product infused with tea tree is an extra plus point for me. So that plus point goes for the entire range! This will help anybody who suffers from problematic skin like acne. After using this product I follow up with the Delon Tea Tree Facial Toner. Even though I don’t suffer from sever acne, rather a spot here and there, I do find that my skin is looking clearer and less clogged in the pore department. I would recommend this product to family and friends, especially if they are suffering from excess oils or skin problems. Laureth 7 – An emulsifier which helps keep oil and water from separating. 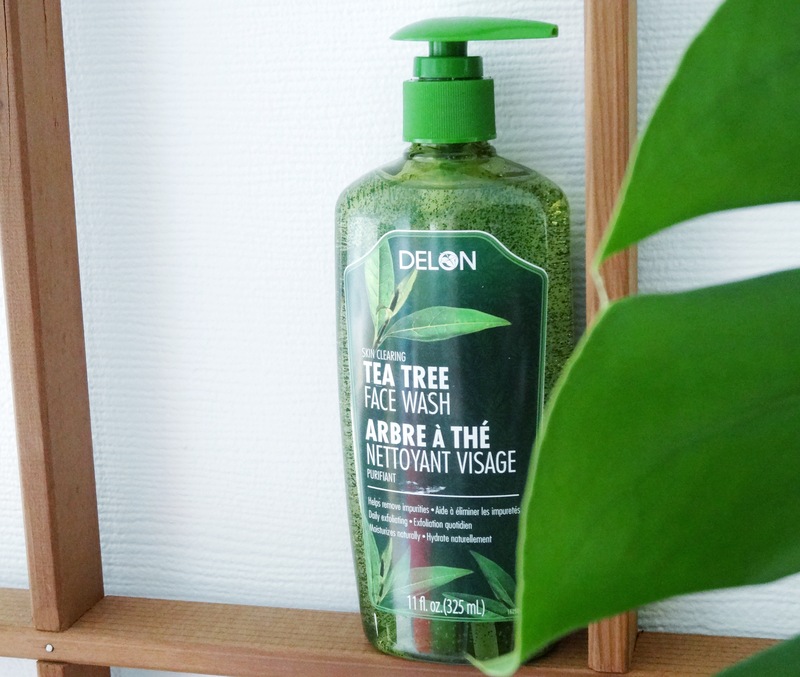 Have you tried any products from Delon? I’m enjoying using their products and its nice to try products that are Canadian made while I’m living here! Hello my dearest sister !! Your review is very informative as usual . I love tea tree too !!!!! However the tightness you feel would suggest it is not entirely suitable for your skin type .I would suggest that you use even less of this product and only use it on your problem areas ,ie t_zone . exfoliation twice a day is not good if you have any sensitivity such as broken capillaries or redness . especially if you are still using the other product I told you about !!! I’m sure this is a great face wash and it does a great job but just be careful that you don’t not over use it !!! :) . Thank you so much for your thoughtful comment. I love having you read my reviews as you personally know my skin in dept details!! I think you are right about over using the face wash. The tightness I feel is mostly around the perimeter of my face where i’m less oily. Its very very slight tightness, I’m not used to this feeling though as i usually don’t get it. I’m using this other product you told me about and will write a review after the Delon series.. have you used this product yourself? Its intense! !